The Stage Scholarship at Italia Conti Academy of Theatre Arts has been awarded to 11-year-old Tori Ryan. A half-scholarship has also been offered to 12-year-old Andrew Parfitt from Hertfordshire. East London-based Tori has a long-held ambition to train in the performing arts and was attending the Kerry Jane Academy of Dance in East Ham. 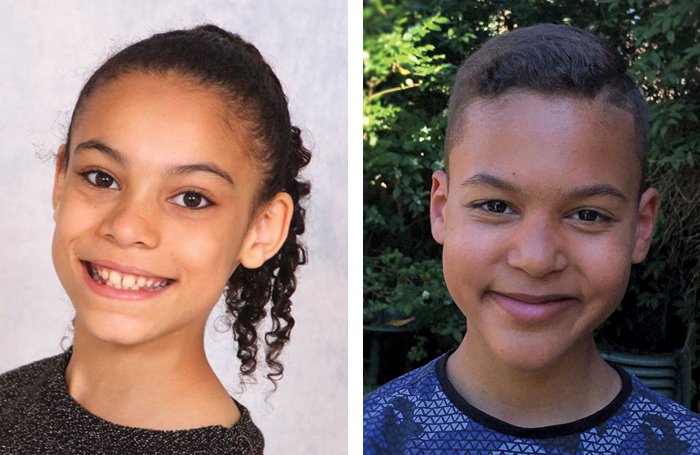 Tori and Andrew will attend the internationally acclaimed dance school from September, with scholarships in excess of £95,000. As well as training in dance, Tori also has experience in theatre, having performed in both Matilda and The Lion King in Switzerland. There were also tears in the Parfitt household, when Andrew heard he had won his part-scholarship. “I was attending summer school at Italia Conti,” Andrew recalls, ”and I came home one day and had a letter about scholarship auditions that I had attended. I just started crying, I was so happy. Following their training, both Tori and Andrew are keen to forge a career in the performing arts. Thanks to this scholarship, they are one step nearer to that goal. Alex Jessop, head of dance at the acclaimed school, was present at this year’s auditions. “Tori and Andrew both demonstrated an excellent attitude and commitment in the audition process. Not only do they have excellent potential for this level of training, but they also possess the desirable qualities of a great work ethic while being open and responsive in class.